Travelling Colony is a major new work by Brook Andrew, whose interdisciplinary arts practice travels internationally. For two decades this celebrated artist has been creating astonishing interventions into history through installation and interactive monuments, playfully seducing audiences into new ways of seeing compelling issues of race, consumerism and history. 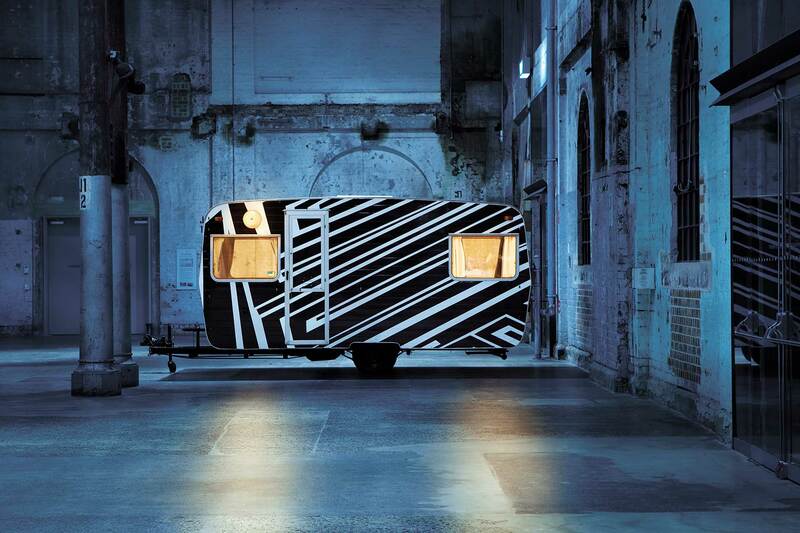 Inspired by his Wiradjuri tradition, the circus and pop culture, here he creates a cavalcade of dazzling hand-painted caravans in the huge industrial foyer of Carriageworks. Enter each of the caravans in Travelling Colony and immerse yourself in the stories of Redfern – its personalities, its struggles and its community. Presented by Carriageworks and Sydney Festival.